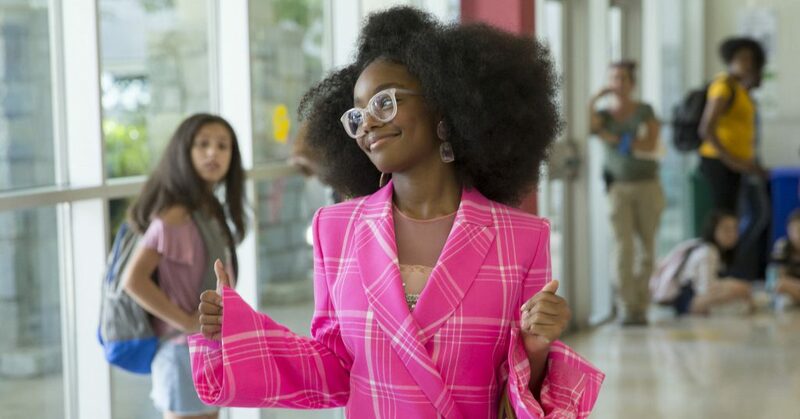 If you’re planning on hitting the cinema over the Easter break, may we respectfully insist that you go see Marsai Martin’s movie ‘Little’. Its very funny, super sassy and beautifully stylish. But more than that, we need to get behind Marsai as she rewrites the rules of Hollywood. Let us make our case…. Marsai is currently 14 years old, but she has already had a nine year acting career. The Texas native started in commercials before landing a role as the sassy Diane in the hit show, Blackish. She’s so good in fact, that she holds 3 NAACP awards for supporting actress. In 2018, Time Magazine named Marsai one of the 25 most influential teenagers. Thats all nice and all, but here’s the biggie, Marsai actually came up with the idea for the movie “Little” and pitched it to Hollywood bigwigs when she was 10 years old. 10 YEARS OLD PEOPLE!!! This makes her the youngest Hollywood producer of all time!! Marsai is one to watch; young female and black, she has no time for glass ceilings or double standards.